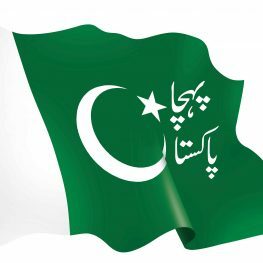 Pehchan Pakistan is a project initiated by the CDC(Community Development Council) to celebrate the 70th anniversary of Pakistan’s independence. This project was launched to instil the value and integrity of unity for us as a nation. 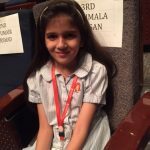 Thought provoking essays highlighting the importance and need for education for all. 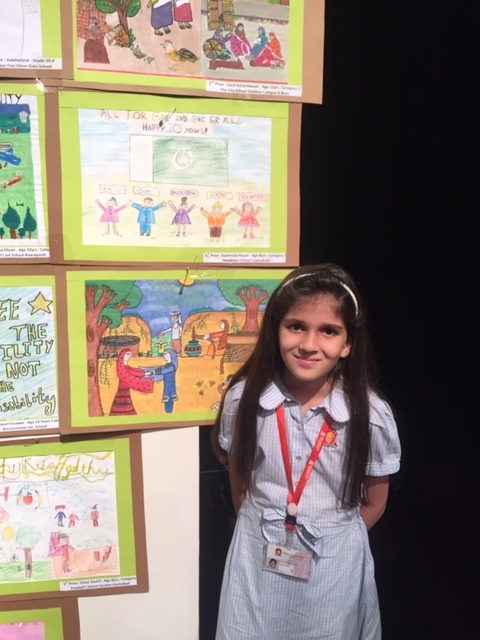 Poster making competition depicting the spirit of freedom and patriotism. 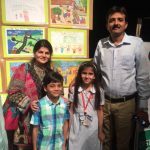 This project got a lot of traction thanks to social media awareness.Nationwide entries were received and judged by a highly accomplished and renowned panel of judges. 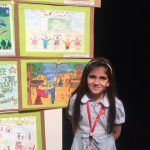 I am happy to announce that our student Kashmala Hassan a second grader at Headstart F.10 won the third prize in the poster making competition. 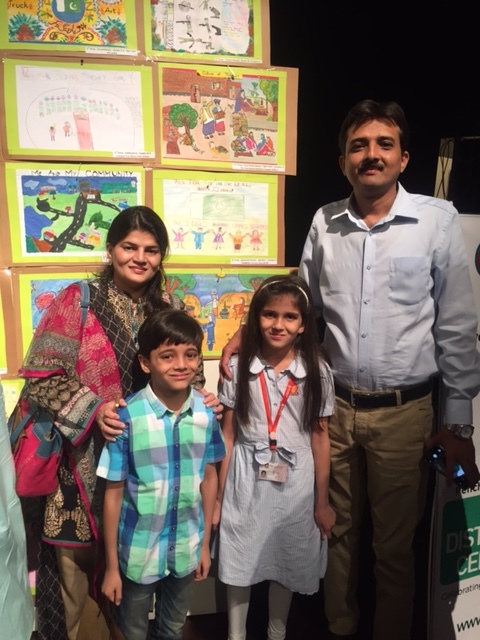 Her depiction of freedom was chosen out of a total of 9000 entries received from all over the country. 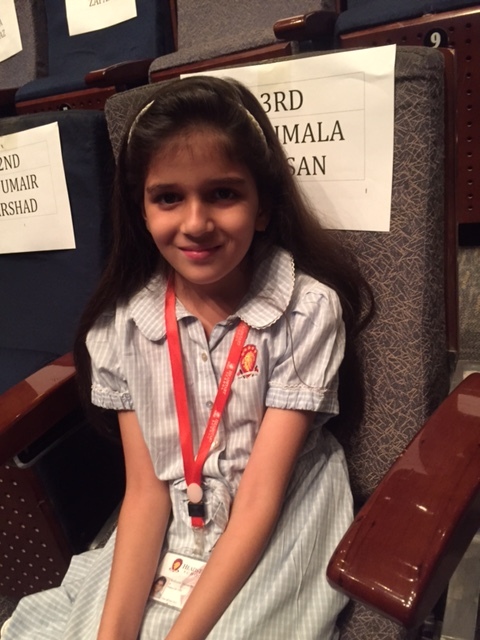 It is also commendable and a true moment of pride for us at Headstart that Kashmala was the youngest winner of this competition competing with students much older. 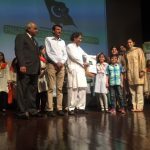 The award ceremony for this Project was held on 13th may at the PNCA. 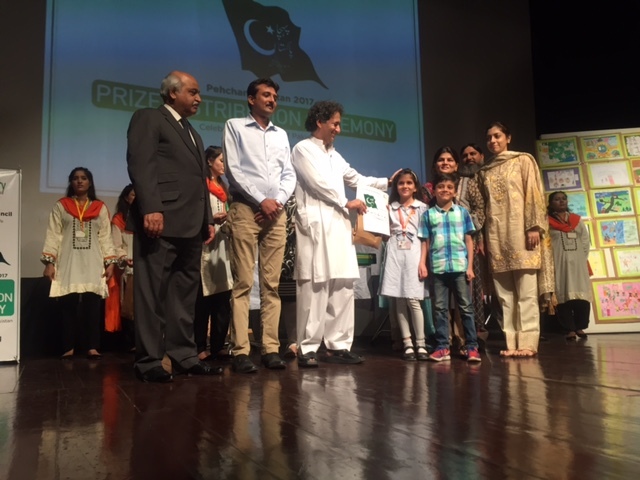 Prizes were awarded by the honourable Minister for education (KPK) Mr.Atif Khan.Our young star was accompanied by her proud parents and our academic coordinator Nabiha Ahmed. It was heartening to know how students from all over the country were equally represented at this event and truly honoured.